Winamp is a terrific, customizable media player that keeps getting better with each new release. 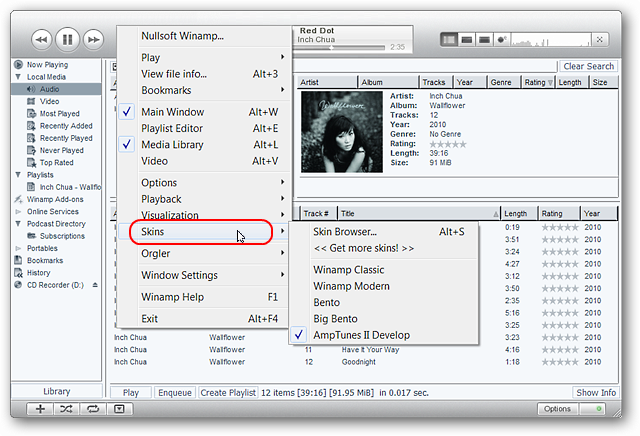 If you are tired of the default skins included with it, then join us as we show you how to make Winamp look like iTunes. Note: You will need to have the full (standard) version of Winamp installed on your system. During our tests the skin would not display properly using the lite version. The skin (.wal file) comes in a zip file so you will need to extract it after downloading it. 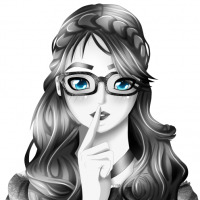 Once unzipped, simply double click on the file to start the install process. 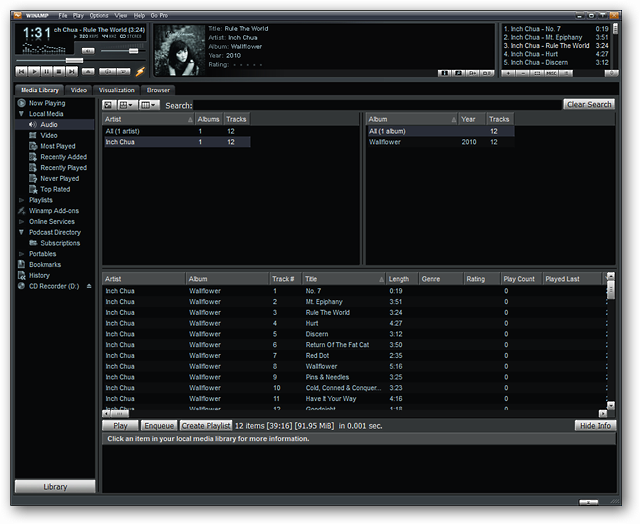 To insure a smooth installation we had Winamp closed while adding the new skin. 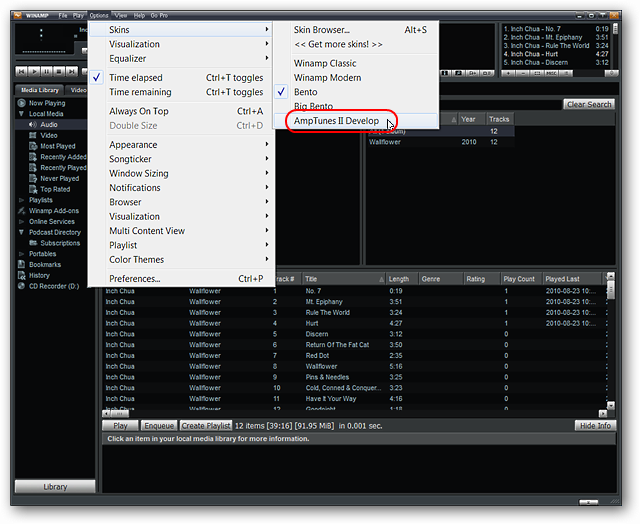 You will need to confirm the installation, so click Yes to finish adding the new skin to Winamp. 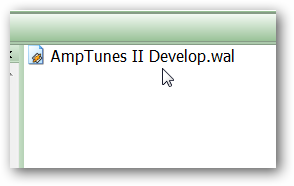 Once you restart Winamp go to Options, then Skins, and select AmpTunes II Develop. 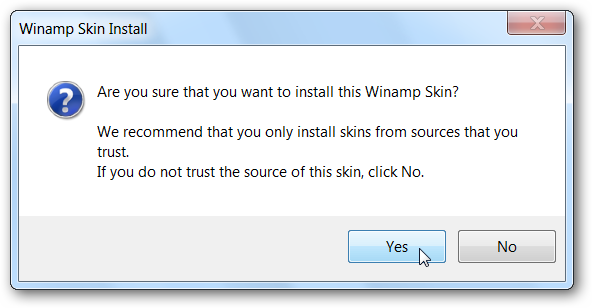 Winamp will disappear for a moment while the new skin is being applied. As you can see here things looked quite different afterwards. The first thing that we did was close the Playlist Editor. 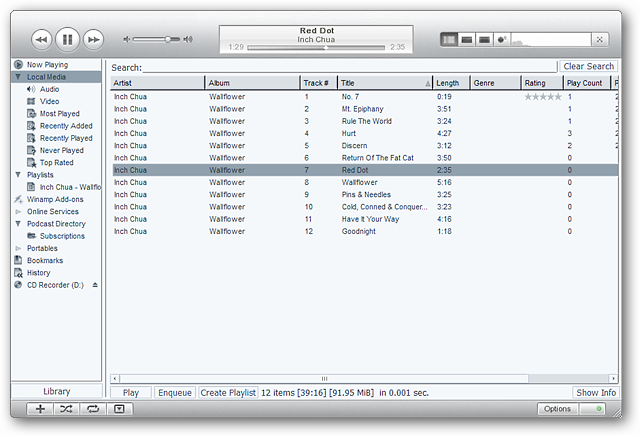 Then after making some small changes to the display here is how our Winamp Player turned out. Very nice. Note: During out tests the Options Button in the lower right corner worked sporadically, so your mileage may vary. 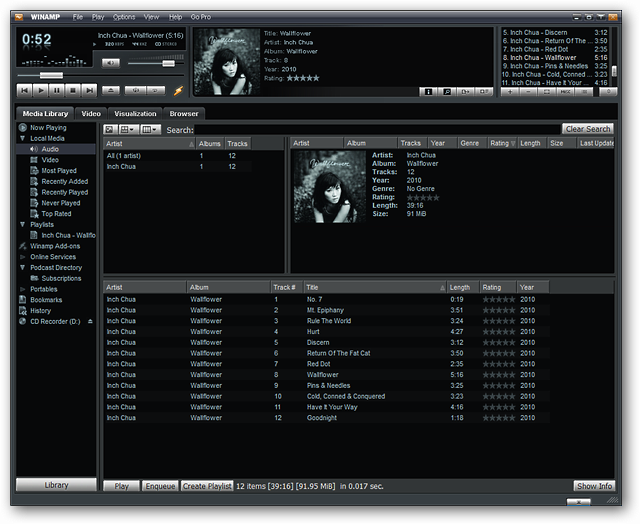 Going back to the first post install screenshot above (second photo up), you can make your Winamp Player look exactly like the picture shown at the skin’s homepage if desired. 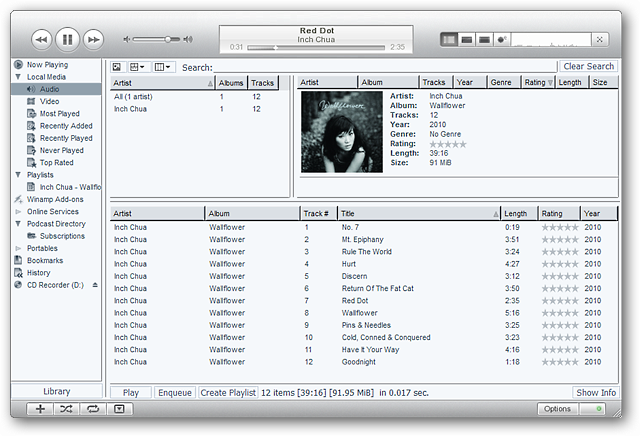 Close the Playlist Editor, select Local Media (left menu area), and click on Hide Info (lower right corner). Whenever you get tired of the skin or just want a temporary change right click on the top area of the window, go to Skins, and select the new skin that you want to use. For our test we chose to switch over to the Big Bento Skin (which we found preferable to the regular Bento Skin due to control button size, etc.). 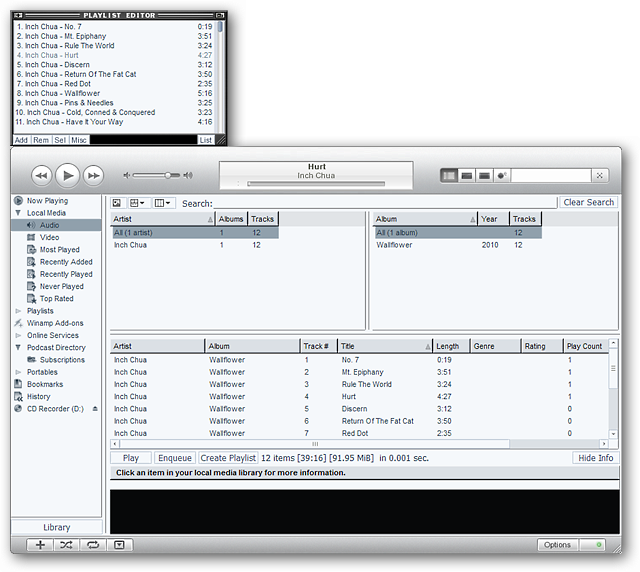 Have fun with the new iTunes look for your Winamp Player!